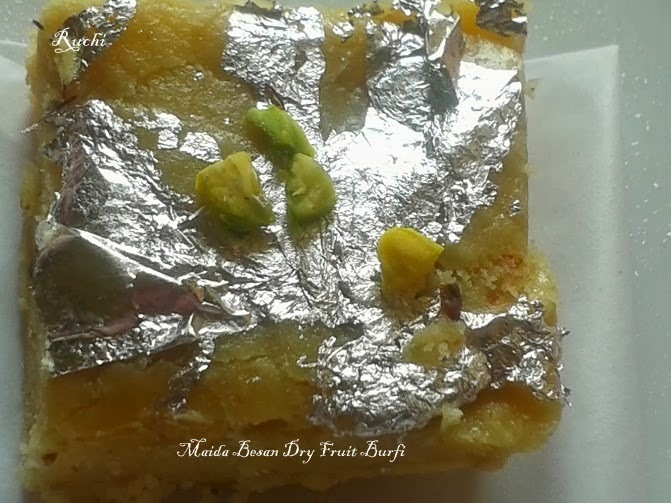 Previously I made in the combination of Maida BesanBurfi. 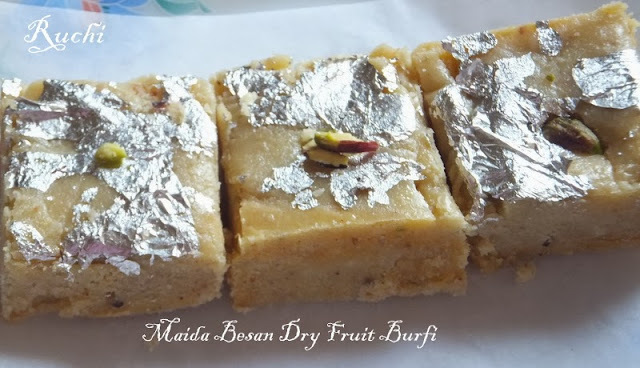 This time Just I tried with dry fruits with maida with a mixture of besan as a Diwali sweet and that can be made easily the taste was awesome ! 1.Roast Maida & Besan separately in a 1/4 cup of ghee on medium heat until aroma comes and then set aside. 2.Powder each of the nuts separately using mixer/ blender until fine. Do not over powder nuts as the nut butter in them will cause lumping. Place all the powdered nuts in a bowl and mix well. 3.Powder cardamom finely and add to the powdered nuts and mix well. Keep this mixture aside. 5.Mix sugar and water and place on heat and allow to boil. Allow the sugar to boil until it achieves one string consistency syrup. 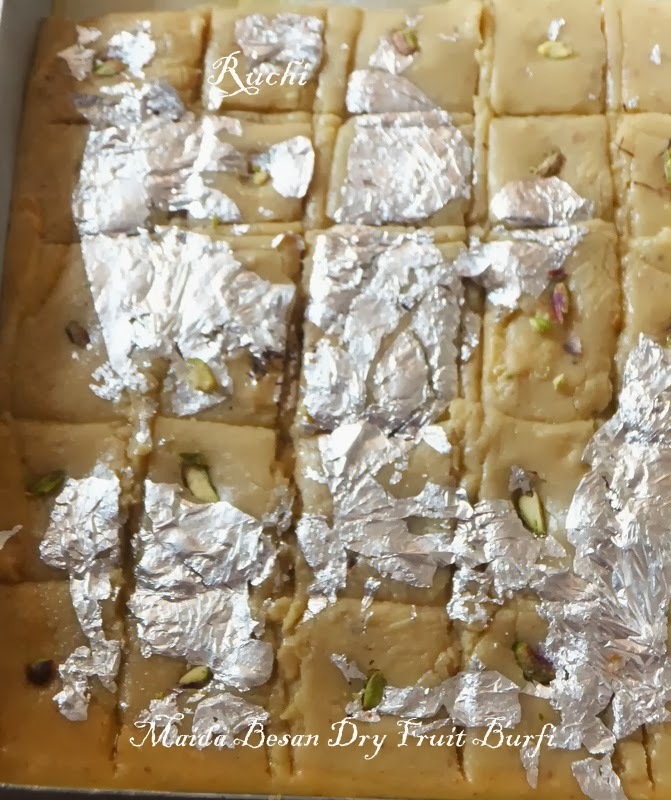 6.As soon as the syrup achieves one string consistency, pour the entire nut powder, Milkpowder, Maida& besan flour into syrup and mix well. 7.Stir the mixture in a medium flame / heat it till it leaves the sides of the kadai. 8.You may test it by putting the mixture in a small plate,and seeing whether it becomes little hard when it is cooled. 9.Remove from heat and pour onto the pre greased plate and quickly spread and cut it in to desire shape or Cut into 1 inch square pieces.